Choosing frames for windows when building a new home is one of those things you may not have given much thought to. The Frames are important for the aesthetic appeal and also the functionality. That functionality will also depend on the types of sashes you want for the windows in your new home. 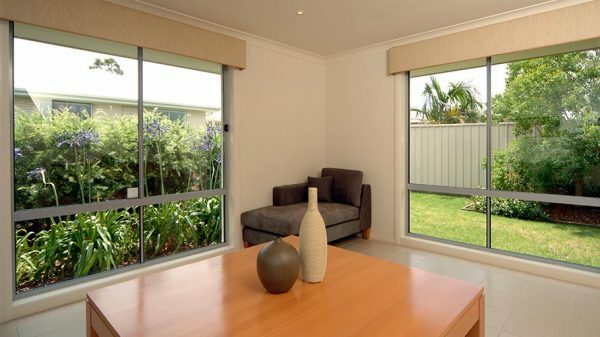 Aluminium window frames are known for being light weight and long lasting. They can be sleek and modern looking but are not a good choice for energy efficiency compared to other types of window frames. They can be thermally enhanced where the interior and exterior frame components are insulated from each other, but you will still find other frames that perform better in this regard. They are low maintenance, especially if they aren’t painted, and are available in anodized or powder coated finishes. They are durable and easily formed into shapes, and won’t wear out in sunlight, won’t rot or become moldy like other types of window frames have the potential to do. However, they must be able to withstand the design wind pressures at the particular location. Light Weight – weighs 1/3 of a piece of steel that is the same size and shape. An economical choice, they are also great to match your home decor based on the large range of available colours. You can prolong the look of painted finishes by washing with soap and water but keep in mind that the colours will alter after a period of several years due to chalking. It’s no secret that wooden or timber window frames are one of the oldest types of window still in use today. While it may take a bit of looking after to keep them looking good, they still offer the benefits of newer types of window frames. Using this type of frame as an option in your new home can be costly over the longer term due to the maintenance to look after them. Having said that, they are still a favourable option for new homes due to aesthetic appeal and the ‘style’ of look a home owner desires. Since wood is paintable and stainable, it can match a vast majority of home decor. The natural grain of wood provides a feeling of warmth and comfort, which many home owners find appealing. While window frames won’t corrode they can rot. If properly maintained, you can extend the life of your wooden window frame to reduce the impact. It is more susceptible to weather as it can swell or shrink. Timber can be used for both the frames and the sash. It provides good thermal and sound reducing capabilities and to provide further thermal efficiency, you can add draught seals. When it comes to the choice of wood to use, meranti is one of the most popular choices. Vinyl windows are windows with frames made out of PVC (polyvinyl chloride), the same stuff used to make pipes and fittings for plumbing. The material is extruded into a straight shape and then crafted together into a window frame and filled with glass to make the window. Vinyl windows are affordable and they are known for being good insulators. Vinyl is a versatile material and can be used to make most window styles so you can get exactly what you’re looking for. However, vinyl windows aren’t the most durable option and they don’t have the same level of charm as wooden windows or aluminum windows. They aren’t quite as strong as fiberglass, wood or aluminum, even when made with the best design practices. uPVC Frames (also referred to as vinyl windows) have been popular in America and Europe for many years due to their durability and low maintenance requirements. They are now available in Australia for those who are considering these as a component of their new home. uPVC means Unplasticized polyvinyl chloride. It is a chemically resistant form of PVC that is also used for pipes and other structures. Why Choose uPVC Window Frames? uPVC frames are considered a great choice for energy efficiency. They have similar thermal properties to Timber and can withstand extreme weather without peeling. corroding, flaking or chipping. Due to their ability to limit the transfer of heat and cold through the frame, you have less of a need to use a heater or cooler. Further to this, they can be filled with foam to provide an even higher level of thermal ability. This type of window frame material is also flame retardant and does not support combustion which can be worthwhile if you are choosing to build in a high fire risk area. Quality uPVC frames will retain their colour even if exposed to extreme weather conditions and their salt content is 57% thereby making them ideal for coastal residents. What Types of Window Styles can be Used With PVC Frames? Sliding doors and French door systems. uPVC windows can also be found in such shapes as arches, ellipticals, eyebrows, gothic, trapezoids, rounds and half rounds, octagons, circles, ovals and half-ovals. In some cases, they come with aluminium covers in a wide range of finishing techniques. They also come in a variety of colours and shapes such as elliptical, eyesbrow, trapezoids, rounds, half-rounds, gothic, octagons and circles. Speak to us about your ideas and we can advise you on your options. You can find out more information on uPVC Frames here. If you’re reading this then there’s a good chance you are getting ready to get some further advice. Renmark Homes are expert luxury home builders. Speak to us: 1300 367 245.